This exhibit was on display for one night only on June 23rd, 2015 during the Night at the Museum event hosted by the River to River festival. 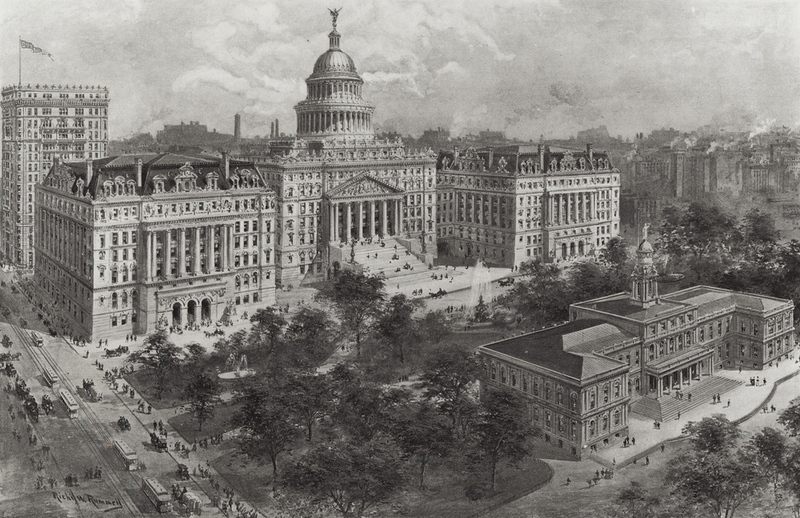 The Downtown Civic Center in Lower Manhattan was a municipal planning project dating to at least 1884 when the existing City Hall had outgrown its walls, even more so following the 1898 consolidation. 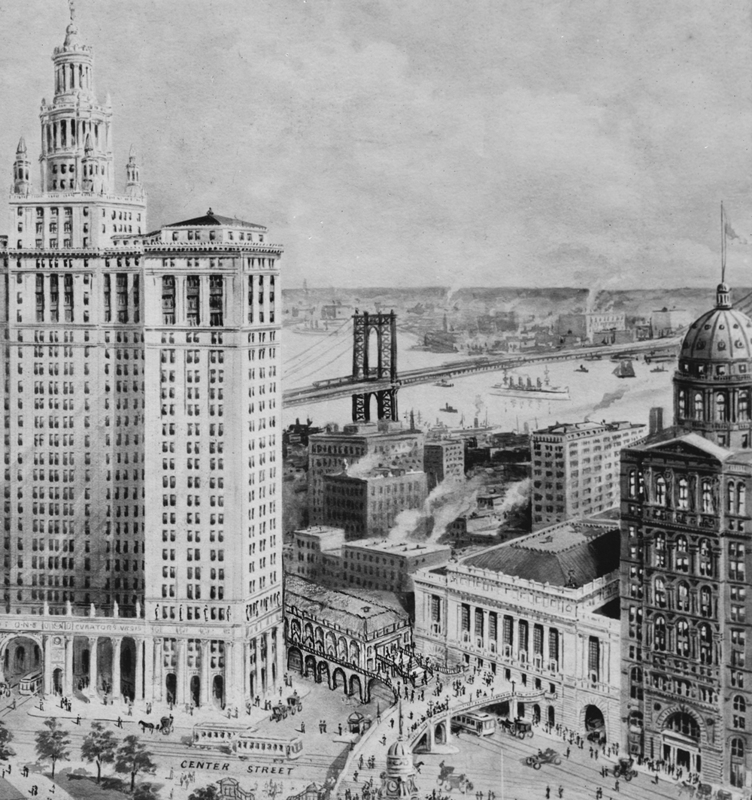 The Municipal Building (1914) solved the crisis temporarily, but by the late 1920s the City's population boomed and the need for office space was overwhelmed. 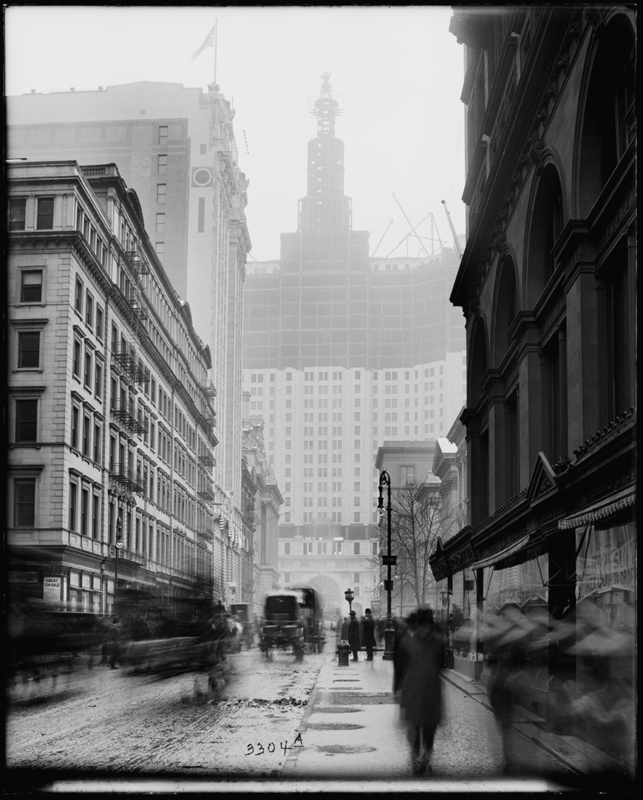 The patchwork of offices downtown was viewed as distasteful and inefficient to the proponents of good government and of the City Beautiful movement. 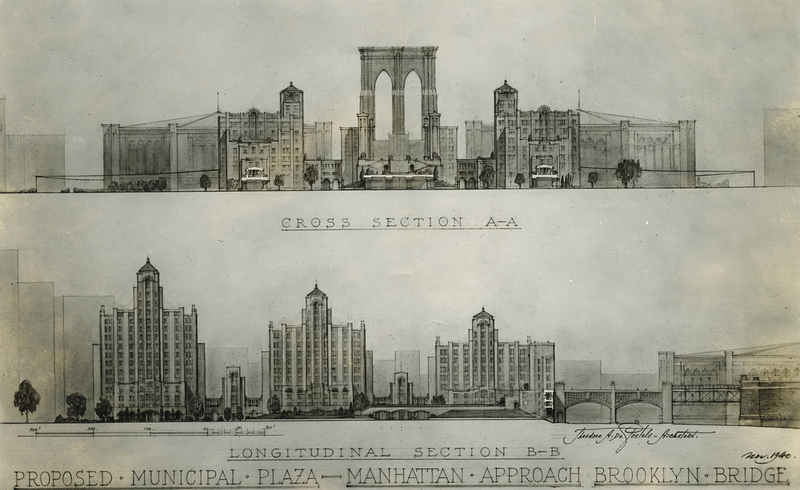 Again, plans were drawn for massive government offices, grand boulevards, and open park spaces. 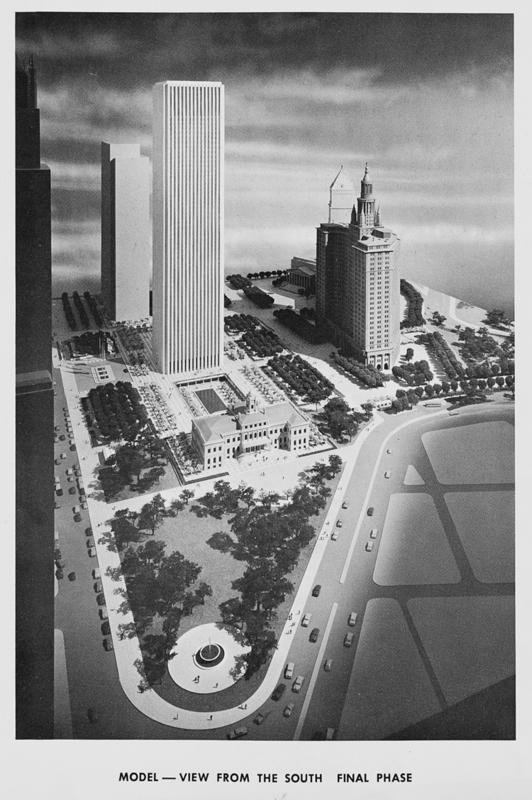 The Master Plan for the Civic Center was approved in 1949 in a new Modernist style. A 1963 revision of the 1949 plan included the destruction of the Emigrant Savings Bank Building and others that still stand today. 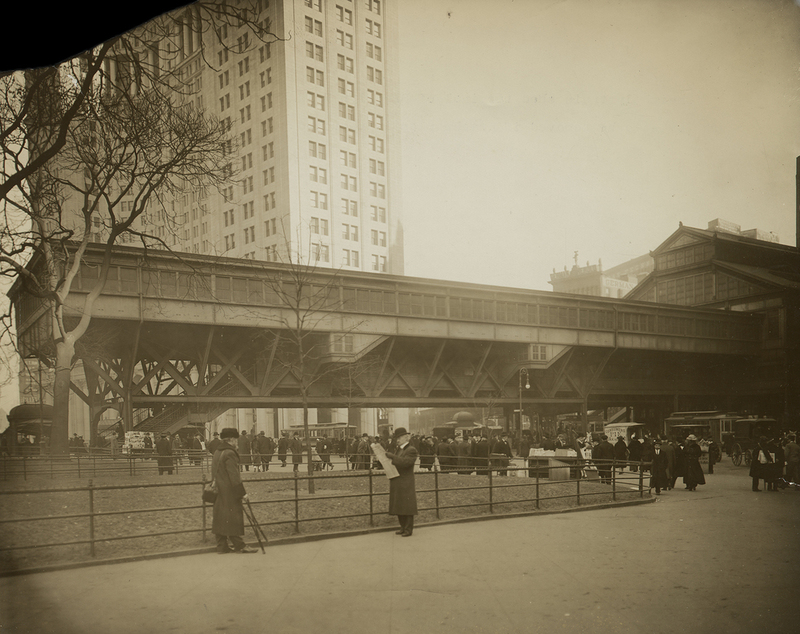 The City purchased buildings along Chambers and Reade Streets anticipating their eminent destruction. Urban planners were eventually faced with the 1965 landmarks preservation law and the plan finally collapsed by the early 1970s.